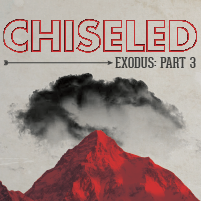 I continued our series, “Chiseled,” on the Ten Commandments this weekend at Eastbrook Church by looking at the sixth, seventh and eighth commandments from Exodus 20:13-15. The outline and presentation slides for the message are below. You can view the message online here or listen to it via our audio podcast here. Access all the messages from the series here. You can also visit Eastbrook Church on Vimeo, Facebook, Twitter and Instagram.